Vampire facial Toronto patients can expect treatments that involve drawing the patient’s blood, processing it to extract the platelet-rich plasma (PRP) and applied topically (vampire facial) or injected (lift) into the patient’s skin. The vampire facial Toronto patients are seeking uses PRP to enhance, repair and rejuvenate the injected tissue, stimulating growth and active healing. Are You a PRP Candidate? Note: Patients who are pregnant, carry medical diseases or cancerous lesions may not be fit candidates for the PRP treatment. It is best to consult with our medical practitioners to determine your candidacy and suitable alternatives if required. Step 1: Schedule your consultation with a medical practitioner at SpaMedica to discuss your candidacy for the vampire facial procedure. Book a date with our front staff for your PRP treatment, and follow your consultant's preoperative instructions for best and safe results. Step 2: Blood is drawn from your body, the most preferable donor site will be the arms. Step 3: Once the blood is drawn, it will be spun in a centrifuge machine, which will separate the blood into three components: platelet-poor layer, the buffy coat (containing the platelets and white blood cells) and the red blood cells. The buffy coat is what we will call the PRP to be injected for your vampire facial. Step 4: Anesthesia or numbing cream will be applied to your face in preparation for your vampire facial injection. Step 5: Plasma will be injected on the recipient site or topically applied. PRP, Platelet Rich Plasma, is popularly known in the media and by the lay public as the “Vampire lift” (when injected), or the “Vampire facial” when applied topically and combined with fractional laser treatments. SpaMedica offers both techniques of anti-aging and skin rejuvenation in Toronto. Patients have their blood drawn, as if they are getting a blood test from an arm vein. Prior to drawing the blood, a topical anesthetic cream may be used on the skin to minimize the discomfort of the small needle and then blood is drawn into a special vile. The vial is then placed in a special centrifuge to be spun down and prepared by experienced SpaMedica technicians in Toronto. Once the blood vial has been spun, the various components for the blood have been separated out into layers. Various fragments of the blood are then separated and removed, including the platelet rich segment, which contains the stem cells and platelets, which are special blood cells important in the repair of damaged vessels and clotting. Platelet Rich Plasma (PRP) tube, following the draw, the blood sample is spun in a centrifuge producing the clear yellow liquid at the top which contains the platelet rich plasma (platelets, growth and stimulation factors and stem cells) and then the white separation gel which keeps the red blood cell fragments at the bottom separate from the PRP. 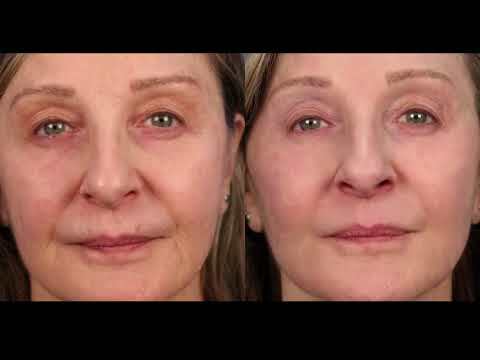 The platelet cells, stem cells and the various growth factors once separated and placed in a sterile syringe can applied topically (Vampire facial) or injected (Vampire lift) into the skin, or dermis or under the skin and can provide enhanced tissue, repair and rejuvenate features and tissue. PRP can be applied topically after fractionating treatments for the skin. The mechanical, laser or RF stimulates the skin with new collagen elastin after creating a fractional defect in the skin. With the fractional defect there is a direct communication with cells within the skin and just under the skin following topical application of PRP and is an ideal serum to apply after fractional resurfacing. The Fractional injury creates channels in the skin, scalp or vaginal mucosa and the PRP, which would normally be blocked by intact skin, is allowed to flow through the channels and gain direct access to the deeper cells and levels of the “under skin”. The Fractional injury (laser or micro needling) creates the inflammation in the skin that is then potentiated and harnessed by the PRP to augment and hasten the wound healing response. After fractional resurfacing the PRP can be applied topically for immediate penetration to the skin where the various growth factors and stem cells of the platelet rich plasma stimulate new collagen elastin and ground substances to rejuvenate significantly the skin over and above what fractional treatments can do alone. So the Fractional lasers provide skin tightening and wrinkle reduction alone and this response is amplified and enhanced by topical PRP. PRP, with the platelets, stem cells and growth factors can also be injected just under the skin and in the skin dermis itself to stimulate the sub-dermal space with new collagen elastin and ground substances (also known as the Vampire Lift). This injectable PRP will help improve the appearance of texture, fine lines and wrinkles and provides a natural way for the body to stimulate self into a more youthful appearance. It can be performed on its own, or in conjunction with topical application. The Vampire facial Toronto patients are most used to are anti-aging treatments after fractional micro needling, which require 24 hours to recover from the minor redness and bruising. For topical and injectable patients performed together with fractional Laser resurfacing or Fractional radio frequency resurfacing more downtime is required related to the fractional resurfacing portion of the procedure. The fractional laser and fractional radio frequency resurfacing and PRP patients need 3-5 days of downtime for moderate resurfacing parameters and, for more aggressive treatments, 7-10 days of downtime. There are few side effects associated with the vampire facial and Platelet Rich Plasma (PRP) treatment. After treatment you can expect some bruising, swelling and redness at the injection sites. You may also experience some tenderness and pain at the injection sites. However, any side effects should dissipate within a few days following the procedure. Patients can expect a significant improvement in skin quality. Topical anti-aging PRP (Vampire Facial) when combined with fractional micro needling, radio frequency, CO2 and Erbium laser can have significant results. The fractional mechanical treatment with the needle on laser devices provides rejuvenation themselves, but the additive benefit and the growth factors and stem cells significantly improve the quality of the elastin collagen and ground substances produced. Generally, a single treatment protocol is deployed and then micro needling is performed once every four months with topical and injectable PRP as an adjunct. Expect an noticeable improvement in skin quality and wrinkle reduction when combined with fractional resurfacing and topical PRP. Injectable anti-aging (Vampire Lift) can provide significant sub-dermal improvements in patients with thin skin, diffuse wrinkles and sun damage and elastosis, or loss of elastin. Topical can be combined with Fractional laser and RF resurfacing and injectable under deep lines and wrinkled skin to amplify the clinical results and improvements. The vampire facial PRP treatment can be combined with Soft Tissue Fillers and Botox Injectable, in addition to fractional lasers and photo rejuvenation and High fluence Low Level Light therapy to maximize your aesthetic outcome at SpaMedica Toronto. Little to no downtime compared to surgical alternatives. Topical PRP anti-aging (Vampire Facial) is combined with micro needling, micro radio frequency needling, Fractional Radio frequency resurfacing and/or Fractional CO2 and Erbium resurfacing. Injectable PRP, best suited for hollow areas (under the eyes and smile lines) does not act as a filler. Instead the injected plasma nourishes from beneath the skin, by activating the repairative and rejuvenating properties of the skin tissue. Most often, topical PRP and PRP injections can be performed in the same session. Combined program of topical, micro needling and/or Fractional Radio frequency resurfacing and the PRP injectable is $2,999 for three treatments and $4,699 for five treatments. Topical skin care products suited to the patients needs and to enhance vampire facial treatment results will be recommended and are additional cost. Further, low-level light therapy and other energy-based devices may be recommended, also at an additional cost. To schedule a consultation for your vampire facial simply fill out the online consult request form or call 877-712-8365 now and a SpaMedica Toronto customer service representative will be with you promptly to help schedule your vampire facial treatment.